Despite the sunshine and better weather and having two extra days off from work this week, I have to admit I’m finding it really tough motivating myself to get out and walk. Having a sore throat probably isn’t helping matters nor is the fact I’ve walked the same streets so often since the start of Lent that they are now boring, boring, boring. On the plus side I did gain two new supporters last week, so I’m up to sixteen people promising to donate to my little pot of money for the Bishop of Leicester’s Lent Appeal to reopen and refurbish a well in Nablus. 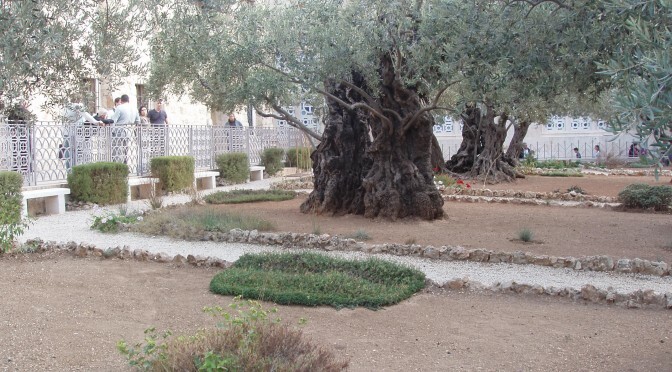 Today’s picture is of one of the ancient olive trees in the Garden of Gethesmane. We were told that some of those trees could possibly be from the time of Jesus making them 2,000 years old. ‘Could possibly be’ and ‘believed to be’ were very popular descriptions for lots of the places we visited in the Holy Land. 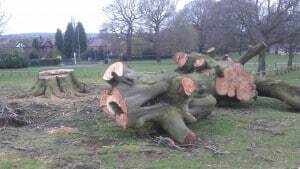 In contrast to the ancient olive trees in the Garden of Gethesmane that are nurtured to keep them healthy and fruiting, this ‘old’ tree in Bramcote Hills Park succumbed to a very different fate. 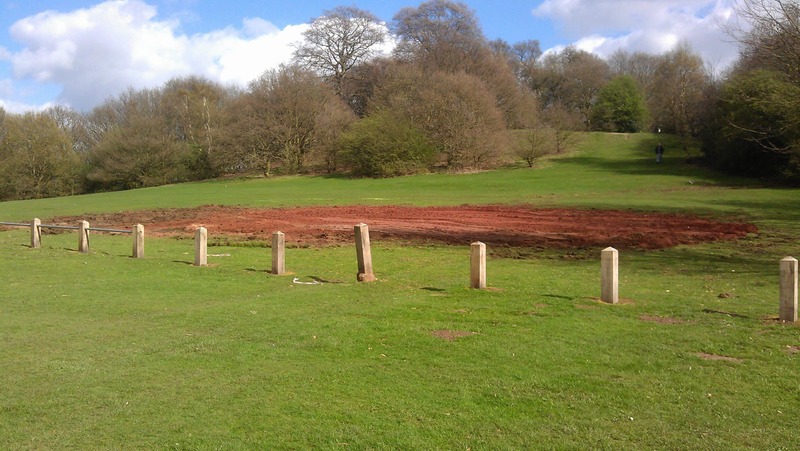 And less than a week later it was completely gone.